The field of dentistry has nine areas of specialization that are recognized by the American Dental Association. Prosthodontics is one of these specialty areas, and dentists who pursue this extra level of study become experts in the replacement and restoration of teeth. At some point during your dental treatment, you may have a tooth that is severely decayed, broken or loose that requires a complicated repair. When this happens, a Los Angeles prosthodontist is capable of restoring or replacing your tooth in a way that improves the function of your mouth and the aesthetics of your smile. Since advances in the field of dentistry have provided prosthodontists more ways to improve their patients’ oral health, it is worth a new look into what they can do during the course of a normal day. 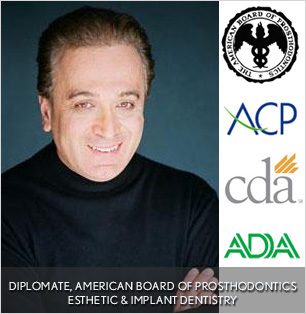 Your Los Angeles prosthodontist must complete a series of rigorous continuing education courses along with examinations of their work to earn their board certification. Typically, prosthodontists spend about three extra years of study beyond their general dentistry courses, and they must pass challenging state licensing exams to complete their degree. Once a prospective prosthodontist is actively providing care for patients, then they must have their most difficult cases assessed by seasoned prosthodontists who then make the call on whether or not the person should earn their certification. Although the process to become board certified is challenging, those who pursue this field do so out of a desire to provide the highest quality of care to those who need tooth replacement or major repairs. You should also know that each prosthodontist must go through a recertification process every eight years, which lets you know that any treatment provided by yours is based upon the latest best practices in dental care. While general dentists are adept at repairing teeth through basic methods such as fillings or crowns, a prosthodontist has a better understanding of how to use restorations to restore total mouth functioning. For instance, a filling that is placed incorrectly can lead to changes in your bite that lead to chronic pain. Alternatively, you may need multiple restorations, and each one must fit together just right to function correctly. Prosthodontists are experts at performing every type of tooth restoration. During the course of a day, they may provide cosmetic tooth repair services such as using veneers or dental bonding to correct the shape or color of your teeth. Your Los Angeles prosthodontist may also replace lost teeth using dental implants, dentures or bridges. Due to their complex understanding of the human mouth, prosthodontists are capable of offering services that go above and beyond basic tooth replacement. Full mouth reconstructions are sometimes necessary after someone has experienced a major injury or illness that destroys the structure of their jawbone, teeth and gums. Using their expertise, a Los Angeles prosthodontist will gather information from visual exams, x-rays and the patient’s health history to create a comprehensive plan to restore the function of the mouth. The expertise provided by this area of specialization also makes it possible for a dentist to work with patients who have special needs such as senior adults or children with facial deformities. Choosing a dentist that is board certified in prosthodontics offers you the benefit of always knowing that they are performing repairs with the functioning of your entire mouth in mind. Since a Los Angeles Prosthodontist can also perform general dentistry services, you can the benefit of having continuity of care since you do not have to go to a different specialist if you require major tooth replacement or repair. Over time, developing a close relationship with your prosthodontist allows you to trust their recommendations for treatment so that you never have to second guess whether something is right for your oral health. Your teeth and gums affect your health and happiness. Schedule an appointment with our prosthodontist today to discover the difference that education and experience makes for your oral health.